Do you have a few spare fat quarters in your fabric stash? Fat quarters are a very popular way to buy fabric. Fat quarters are precut pieces of fabric approximately 19 1/2″ X 22″ (50cm X 56cm) but these sizes can vary. Fat quarters come from splitting one yard or meter of fabric off the roll down the center lengthwise and then cutting it in half again widthwise. Because fabric on a roll is typically slightly wider than a yard or meter, the quarter doesn't come out square but is “fat” –at least that's where I was always told the name comes from. You can really build your fabric stash when you come across those big bundles of fat quarters on sale at you local fabric store. If, like me, you've built up a nice collection of fat quarters, you may be looking for clever ways to use them. 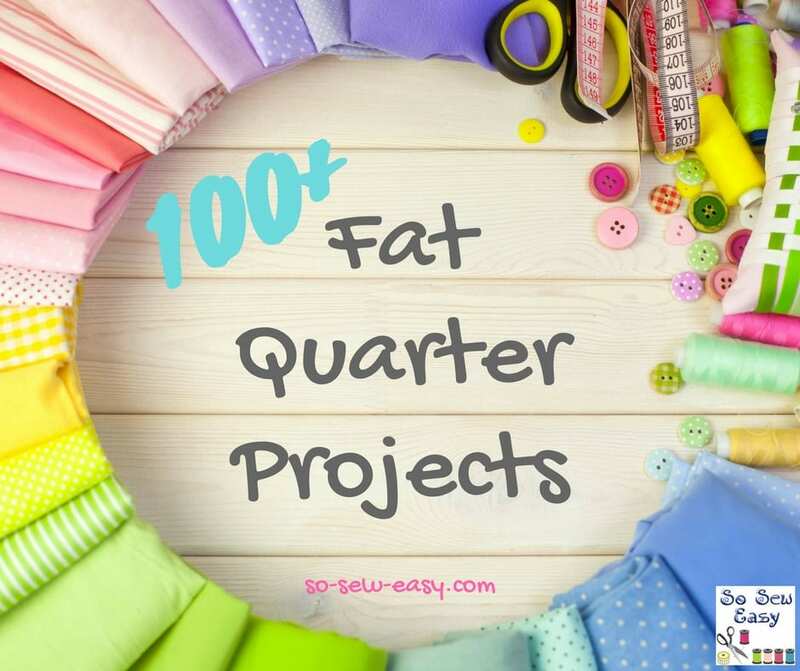 Here are over 100 fat quarter projects and sewing patterns for you to enjoy. Check out this 123 Basket FREE Pattern. It’s called a “FAT Quarter” because a regular quarter of a yard/meter of fabric would be cut 9 inches/0.25m by the width of the fabric, resulting in a long and narrow piece.